This small stone is inscribed with an Angel and is quite useful in meditation and prayer. 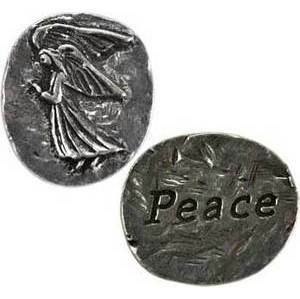 One amulet with an angel on one side and the word "Peace" on the other. Pewter. 1" x 5/8"